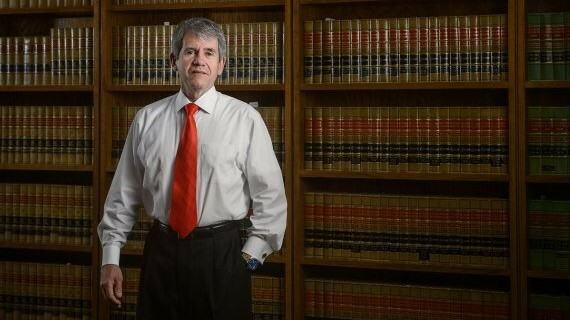 The practice of law is a second act in Steve's career which he started as an engineer in Conoco’s Natural Gas and Gas Processing Division. He has over twenty five years of experience in engineering and management in the Mid-Stream and Upstream sectors of the Oil and Gas industry, including gas processing design, construction and operations, crude oil and NGL pipeline design, construction and operations, gas and liquid measurement, oil and gas production and reserves volumetric accounting and reporting and facilities planning. His experience includes production operations in the U.S. onshore and Gulf of Mexico offshore sectors, U.K. North Sea, and gas processing and pipeline and marine transportation in Saudi Arabia. Steve’s technical and business experience have served his legal clients well in litigation matters involving highly technical environmental contamination matters, environmental toxicology, air and water borne fate and transport of emissions. His background in engineering economics, corporate reporting and accounting and strategic planning also carries over to the commercial and business practice area. Steve has experience in negotiating and drafting stock purchase and asset purchase agreements between sophisticated businesses. Corporation, L.L.C. and Partnership formations and mergers are also a part of Steve’s practice. With a combined business and legal career of over forty years, Steve brings an unusual combination of depth and diversity to solve complicated business legal problems. Argued appeal of adverse judgment dismissing his plaintiff’s case before United States Fifth Circuit Court of Appeals in an important, complex commercial matter involving breach of fiduciary duty. In a published opinion, the Fifth Circuit reversed the District Court and remanded the matter for further proceedings. D & J Tire, Inc. v. Hercules Tire. & Rubber Co., 598 F.3d 200 (5th. Cir. 2010). Argued appeal of adverse judgment dismissing his plaintiff’s case before United States Fifth Circuit Court of Appeals in a maritime matter. In a published opinion, in which the Court expanded the scope of recoverable damages under the rule of Robins Drydock and M.V. Testbank, the Fifth Circuit reversed the District Court and remanded the matter for further proceedings. Catalyst Old River Hydroelectric Ltd. P'ship v. Ingram Barge Co., 639 F.3d 207 (5th Cir. 2011). Argued appeal of adverse judgment dismissing his plaintiff’s case before United States Fifth Circuit Court of Appeals in a case involving unauthorized use of land by a pipeline company. In a published opinion, the Fifth Circuit reversed the District Court and remanded the matter for further proceedings. Gulf & Mississippi River Transp. Co. v. BP Oil Pipeline Co., 730 F.3d 484 (5th Cir. 2013). Obtained dismissal on summary judgment from the United States District Court for the Western District of Louisiana in defense of a large publicly traded meat packing company. The case involved allegations of contract breach and unfair trade practices brought by a contract poultry grower. Member of trial team in bellwether claim picked by consortium of plaintiff firms from around the state in mass joinder of approximately 600 toxic tort claimants, resulting in unanimous defense verdict after 1 hour and 23 minutes of deliberation in 3 week jury trial dismissing claim for incurable cancer (multiple myeloma) allegedly resulting from lifelong exposure to chemicals emitted by an Alexandria, LA, wood treating facility. Member of trial team in 3 week jury trial of first claim selected by team of plaintiff firms from mass joinder of over 500 toxic tort claims against a Pineville, LA, wood treating facility, resulting in unanimous defense verdict after less than 30 minutes of deliberation, dismissing claims of birth defects, children's organic brain damage, family's increased risk of cancer, loss of earning capacity and multi-million dollar life care plans. Trial counsel as second chair in a bench trial of an appeal before United States District Court for the Western District of Louisiana of a denial of corporate income tax refund by the Internal Revenue Service. Trial counsel as second chair for plaintiff landowners in a bench trial before United States District Court for the Middle District of Louisiana of a complex commercial case involving trespass on private property by a crude oil pipeline company. Trial counsel as second chair in defense of a design engineer in Louisiana District Court in a case alleging negligence in the design of a city water supply modification and water tower design. A defense verdict was returned after approximately 20 minutes of deliberation. Regularly represent business and commercial clients in litigation matters related to contracts, construction, property ownership, and environmental matters. Closes large and small commercial transactions for individuals and businesses, including the sale, purchase or reorganization of commercial and medical entities. Closes loan transactions involving extensive real estate and other assets as collateral. Forms medical, commercial and nonprofit entities. Negotiates and drafts contracts in both routine and complex matters. CALI Excellence Awards in the study of Scholarly Legal Writing, Income Taxation I, Patent Law, Inter-Am. Trade, Selected Problems, Jurisprudence, Matrimonial Regimes, and Biotechnology: Law, Bus & Regulation. "Kyllo v. United States: Something Old, Nothing New Mostly Borrowed What to Do? ", 62 La. L. Rev. 929 (2002). Prior to pursuing a legal career, Steve had a twenty-five (25) year career with varying levels of responsibility in Oil & Gas and Pipeline Operations & Construction, Information Technology Operations, and Project Management for large publicly traded corporations. Steve has extensive experience in Oil & Gas Upstream and Midstream Operations and Engineering.